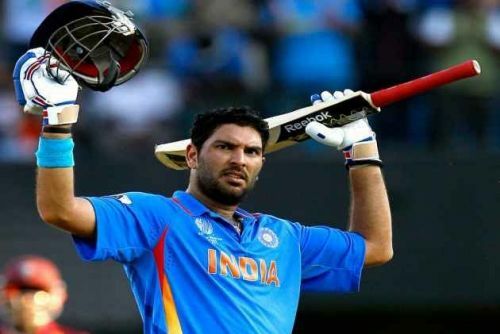 Yuvraj Singh was grabbed by Mumbai Indians in the IPL 2019 auction. IPL Auction 2019 is finally done and the franchises have let their emotions out loud. There were a few surprising picks like Prabhsimran Singh and Prayas Ray Berman while the selection of Sam Curran, Shimron Hetmyer and Nicholas Pooran etc. were on the expected lines. It was surprising to see Varun Chakaravarthy and Jaydev Unadkat end up as the most expensive buys in the IPL auction 2019 at Rs.8.4 Crore. Though this is still below Virat Kohli (who is paid 17 crores), Varun Chakaravarthy and Jaydev Unadkat have become the most expensive players in the IPL auctions 2019. Apart from these expensive buys, there were many players who were grabbed by the franchises at a mouthwatering price. Here in this article, let us look at the top 7 cricketers who were the real Bargain buys of the IPL Auction 2019. Oshane Thomas will be looking forward to his debut IPL season. 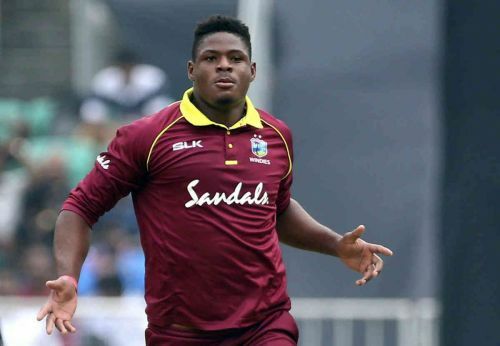 The Big West Indian was expected to rake in considerable money in the IPL 2019 auctions after his heroics in the India – West Indies Series. But the fact that his name came up late in the pecking order of the auction list after many of the teams were done with their pace quadrant did not help his cause. He attracted interest from Kings XI Punjab and Rajasthan Royals, but Punjab did not take the journey much far. Rajasthan was able to grab him for a paltry Rs.1.1 Crore as their backup pace option to Jofra Archer. Jofra Archer, being susceptible to injury has been a worry for Rajasthan Royals and with Oshane Thomas that worry is well hedged. Oshane Thomas will be looking forward to making an impact in the IPL much like the other West Indian stalwarts. He is just 21 years old and has the age on his side to grow into a great West Indian pace bowler reminiscent of the yesteryear greats like Michael Holding, Joel Garner, Andy Roberts, and Sylvester Clarke etc. At Rs. 1.1 Crore, he is a decent bargain buy for Rajasthan Royals. IPL stats: Top records by Yuvraj Singh in IPL history!